In case you missed it, the latest colorway of the newest signature shoe of Miami Heat superstar LeBron James will hit shelves today, February 7th, in select Nike accounts. 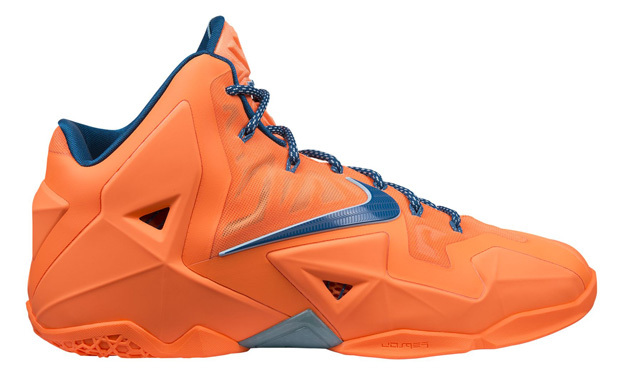 The Nike LeBron 11 will be released in an eye-catching “Atomic Orange” edition, which is officially listed as the Atomic Orange/Green Abyss-Glacier Ice colorway of this model. This shoe sports an almost all-atomic orange look accented with green abyss and glacier ice hints. Some accounts are also listing this shoe as the “NYC” and “Miami vs Akron” edition of the LeBron 11. Make sure to check this out soon and get your own pair for just $200 each.